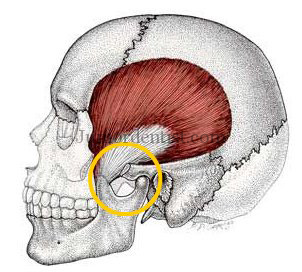 Temporomandibular Joint Ankylosis: It is the painless, loss (or) limitation of movement of the Temporomandibular joint which can be due to Stiffening or Immobility and Fixation due to Fusion of the Temporomandibular joint. True Ankylosis: Which is also called as Intra-Articular Ankylosis, here we can see that both physical and physiological trauma is seen in the patient with a Bird like face and here Speech, Chewing and Swallowing difficult. True Ankylosis can be either Unilateral or Bilateral. False Ankylosis: Which is also called as Extra-auricular Ankylosis. It is caused by enlargement of Coronoid process, depressed fracture of the Zygomatic Arch, Irradiation, Infection, Scarring after Injury. The protocol for treatment of TMJ ankylosis is given in 9 steps which guides us through the treatment procedure. Early mobilization and aggressive physiotherapy for a period of at least 6 months post operative. sir can you please tell what is marx protocol for osteoradionecrosis? The Marx protocol for treatment in osteoradionecrosis consists of 20 preoperative hyperbaric oxygen treatments followed by 10 postoperative treatments. It is done to maintain good oral hygiene during and after radiation therapy. I will be posting a detailed blog post regarding Marx protocol shortly explaining the procedure in detail.